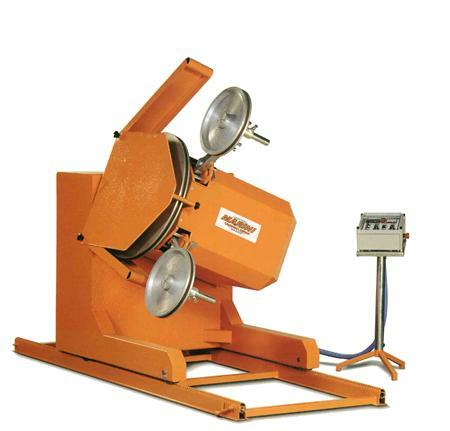 Diamond wire saw for cutting granite with main motor power of 50 HP and double wire speed. The orientation and 360° rotation of the flywheel-holder head are mechanical and allows an easy and fast positioning of the machine as well as the execution of two parallel cuts at the maximum distance of 1900mm. The model GRAN FIL STANDARD has motorized the orientation and 360° rotation of the flywheel-holder head. In the GRAN FIL ELECTRONIC versions, an inverter permits the use of variable speeds.